Investing in a tankless water heater system has many benefits. However, it is important that you take your tankless water heater maintenance seriously after installation. One of the benefits to a tankless system is that you won’t be wasting money on keeping a tank of water heated all day long. Then there’s the reduced risk of flooding which can help with household insurance costs. In the long run, you will save money on consumption too. Installing tankless heaters is a more eco-friendly alternative to other heating options. It’s one of the reasons why so many people choose them over other water heating options.. Maintenance of a tankless water heater system is essential not only to ensure that it operates for 20 years or more, but also to ensure that it’s always operating efficiently because that will save you money and make your life more comfortable. Make sure that your heating elements are always free of scale build up. You can do this by using white vinegar to clean the elements. While it may not look like a much covering the element, the buildup can cause the unit to strain. This will reduce the efficiency and the unit’s lifespan. Flush your heater every 6 months. It’s recommended that you use a professional water heater company to assist you with this. Overlooking the importance of maintaining your tankless water heater, could result in costly repairs. At Hot Water Now, we stock and install tankless water heaters in Panama City, Florida. 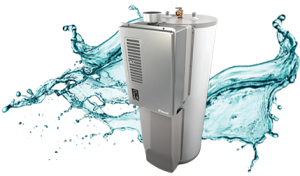 We also offer tankless water heater repair services for those who are experiencing a problem with the system. For more advice and to learn more about tankless water heater maintenance, contact us at Hot Water Now or look at our FAQ page today.